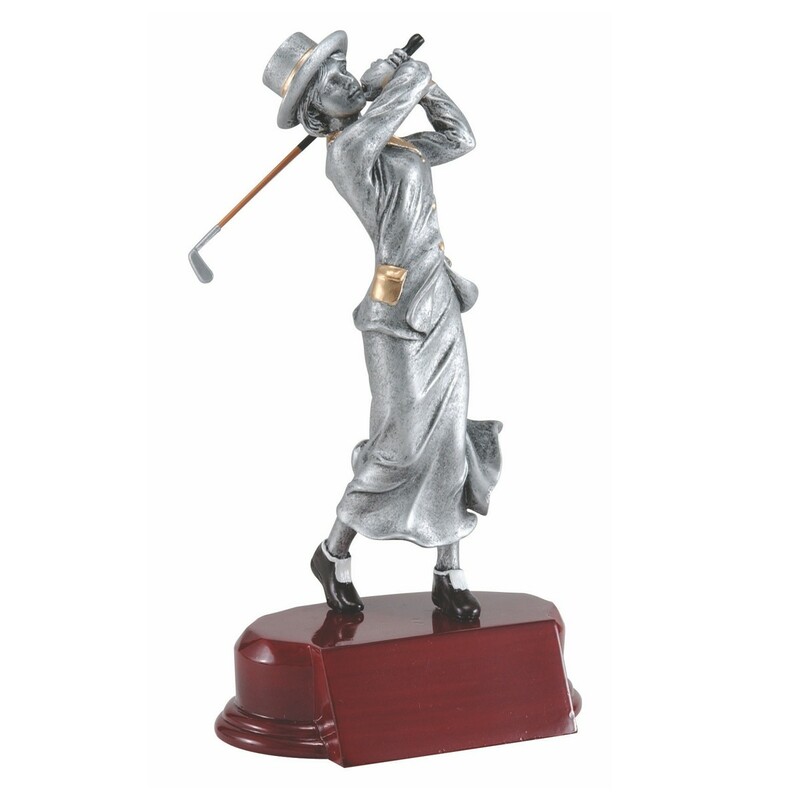 The perfect award for your next golf tournament winners, the Perpetual Old Fashioned Golfer Trophy - Male or Female is made for years of use! A vintage golfer in traditional dress is featured above a walnut colored base. 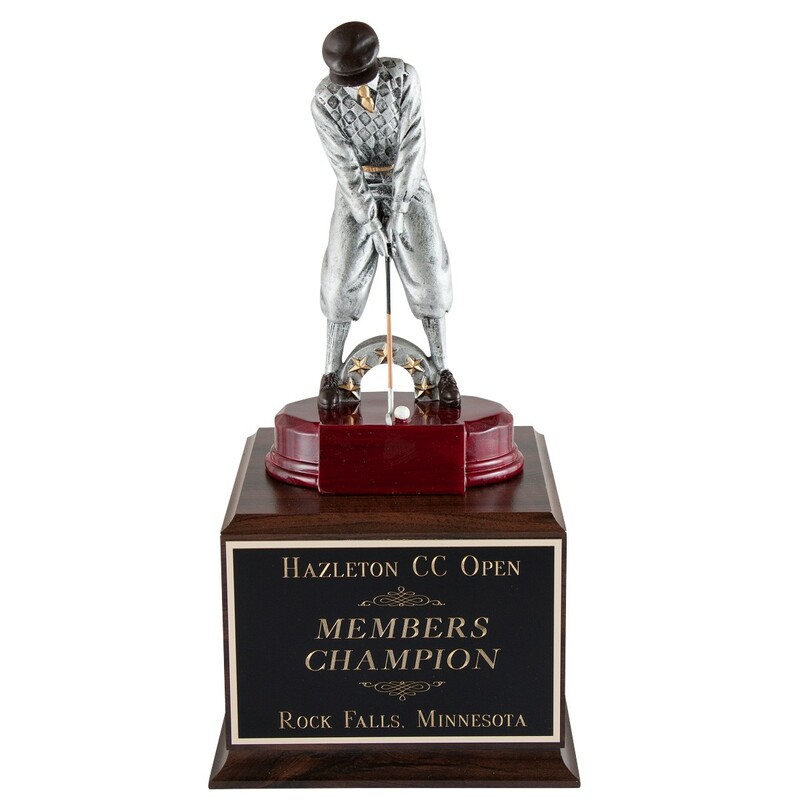 This resin-crafted golf trophy includes engraving on the front of the base for your tournament or event name and the optional three side plates for engraving of yearly winners. 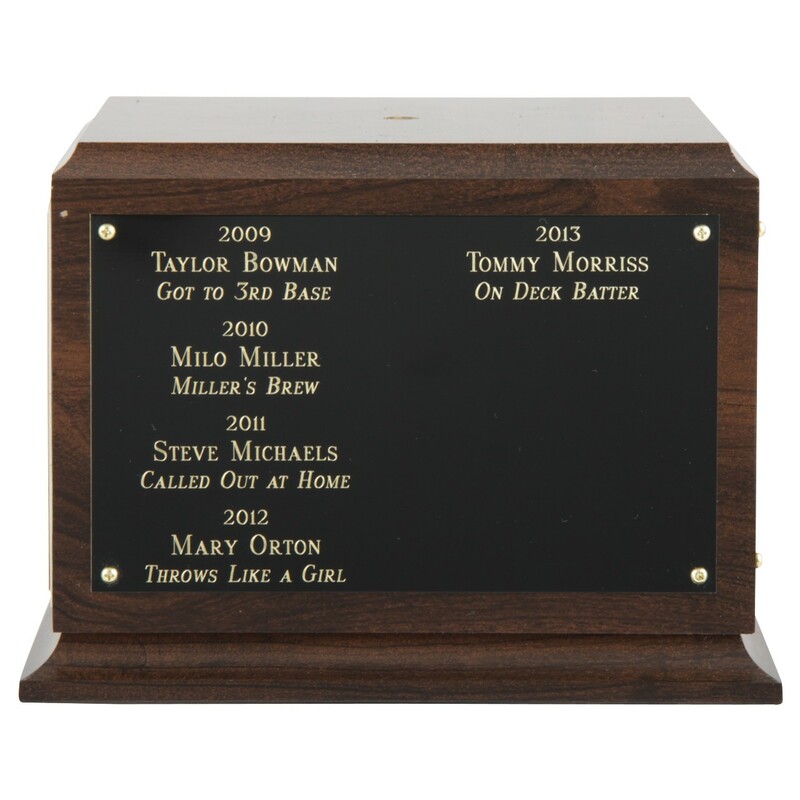 ***Note: To add winner's names onto the side of this golf trophy, choose the "3 Side Plates" option below and then add product #7170 Fantasy Perpetual Engraving to your cart.